Authorities were forced to evacuate around 70 residents after a fire broke out in a 15th-floor flat at Block 45 Lorong 5 Toa Payoh on Wednesday morning (10 Jan 2018). The Singapore Civil Defence Force (SCDF) said it was alerted to the fire at around 9.40am, and forcibly entered the unit upon arrival. The fire involved contents in the unit's living room and was extinguished by SCDF using two water jets. No one was present in the flat and no injuries were reported, SCDF said. Two men, aged 28 and 49, were taken to hospital with minor burn injuries, after batteries exploded at FalconPEV e-scooter store at Delta House on Friday morning (15 Dec 2017). Both injured are the employees of the store. The fire involved an e-scooter and was put out with a fire extinguisher, said SCDF. Marine buoys caught fire at 21 Tuas View Place, where a marine engineering firm is located, on Sunday (3 Dec 2017) afternoon. Singapore Civil Defence Force (SCDF) said it was alerted at 1.40pm to the blaze, which involved "large marine buoys filled with dense foam". Using foam jets, officers managed to confine the flames to the storage yard, which SCDF described as the size of a basketball court. The fire was eventually put out at 7.50pm. A fire broke out at Block 424 Tampines Street 41 (10 Nov 2017) at around 3.55pm. Black smoke was seen emitting from an unoccupied fourth-floor unit. Singapore Civil Defence Force (SCDF) said that they were alerted to the fire at 3.55pm. The fire was extinguished using one water jet. The incident happened on Wednesday (8 Nov 2017) morning at about 6.30am at Block 548, Pasir Ris Street 51, where items on the flat's balcony were destroyed. No injuries were reported. The incident happened at about 10.40am on Tuesday (7 Nov 2017) at Block 260, Yishun Street 22. Items in the bedroom were destroyed and four residents were taken to hospitals. The incident was caused by charging of electric scooters. Four people, including an infant, were injured after a fire broke out in their Bukit Batok flat early on Thursday (12 Oct 2017) at about 3.50am. The blaze was caused by the overnight charging of an electric bicycle. Four people, including a 5 days old infant, were injured. The bedroom of a flat in Tiong Bahru caught fire on Tuesday (22 Aug 2017), no one was hurt. The Singapore Civil Defence Force (SCDF) said it was alerted to the fire at Block 126A, Kim Tian Road at about 2.20pm. Seven residents had to be hospitalised for smoke inhalation after a fire broke out at a unit at Blk 372 Jurong East St 32 on Friday (4 Aug 2017). The Singapore Civil Defence Force (SCDF) said they were alerted to the incident at 10.18am. Four ambulances, two fire bikes, two red rhinos, one fire engine and one support vehicle were dispatched to the scene. A fire broke out at around 1.05pm at a residential building unit at Block 82, Tiong Poh road in Tiong Bahru estate on Sunday (30 Jul 2017). Two occupants of the unit were taken to Singapore General Hospital (SGH) after one, in his fifties suffered burn injuries, while another in his thirties suffered from smoke inhalation. Fifty residents were evacuated from a Housing Development Board (HDB) block after a fire broke out at a unit in Block 4, Haig Road last Saturday (29 July 2017) after 7pm. Five residents worked together to break down the metal gates of the affected 11th-floor unit. Mother dashed in to save the trapped daughter. Three people fled their apartment after an electric scooter caught fire after allegedly being left to charge overnight. The incident occurred yesterday at 3.50am at a 10th-floor apartment in Block 230, Choa Chu Kang Central 1. A silver Honda caught fire after crashing into a road divider along Airport Boulevard today (24 July 2017) at around 5.05pm. Five people with minor injuries were conveyed to Changi General Hospital, said the Singapore Civil Defence Force (SCDF). A car which caught fire near Braddell Flyover on Monday evening (24 Jul 2017) was "completely burnt" in the incident. SCDF said it was informed of the incident, which took place on the Central Expressway (CTE) towards Ayer Rajah Expressway (AYE), at about 6.20pm. It sent a fire engine, a Red Rhino and two fire bikes. A fire broke out at a development in Charlton Lane on Monday (Jul 24), and the Singapore Civil Defence Force (SCDF) said there were no injuries reported. It was alerted to the incident at 12.50pm and two fire engines, two fire bikes, a Red Rhino and a support vehicle was sent to 33C Charlton Lane. A fire broke out on Friday (30 June 2017) night at Block 704, West Coast Road. Around 60 people were evacuated by officers from the SCDF and the Singapore Police Force as a precautionary measure. Huge flames can be seen burning out of the window of a 10th-floor corner unit of the HDB block. The Singapore Civil Defence Force (SCDF) was alerted at around 10.05pm to the blaze and dispatched one fire engine, two red rhinos, two fire bikes, one ambulance, and two support vehicles to the scene. 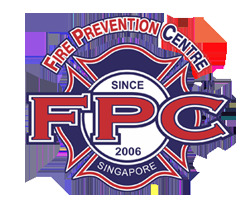 Two people were injured in a fire which broke out at a factory in Tuas on Saturday afternoon (24 Jun 2107). The fire started at around 4pm and workers were reportedly evacuated. Eight water jets, one unmanned firefighting machine and one aerial firefighting platform were deployed to the scene. The fire at 28 Tuas Avenue 10 was extinguished at about 5.30pm, and two workers from the warehouse were taken to Singapore General Hospital for burn injuries. One of the injured workers succumbed to his injuries later in the hospital. A fire at a waste management plant at Tuas on 7 June 2017. At 6.55pm thick smoke emerging from the upper levels of the Greenway Environmental building at 6 Tuas South Street 8 as firefighters worked to put out the blaze. Two Singapore Civil Defence Force (SCDF) officers have been sent to a hospital after fighting the fire. At 8.50pm, SCDF said the fire was extinguished with the aid of two unmanned firefighting machines. The blaze involved general waste in an area about the size of a basketball court. A fire which broke out in a room holding air-conditioning equipment led to an unprecedented evacuation at Changi Airport Terminal 2 (T2) on Tuesday (16 May 2017), with thousands of passengers stranded affecting about 40 flights from at least 13 airlines were affected. The fire, which the SCDF described as “small”, was put out in about an hour by firefighters. However, the terminal remained closed, partly due to the lingering smoke from the fire. Bus services to the airport were also affected. According to Changi Airport officials, the fire alarm was activated at about 5.40pm due to "smoke coming through the air vents".